These Kate Spade earrings are a classic, and retail for $38 (each pair). 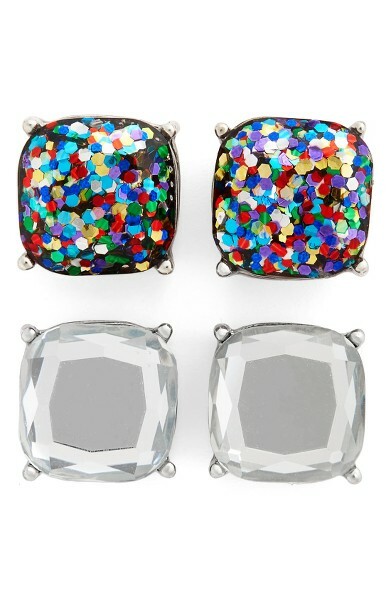 They come in a variety of colors, how fun are the sparkle ones? 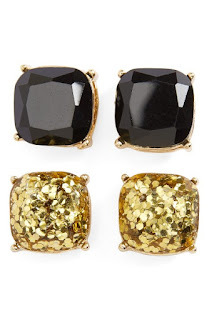 BP from Nordstrom has a very similar earring available, on sale for $9.98 for a pack of two sets! 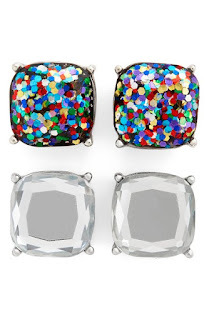 They have 7 color options available, click HERE to view or purchase!